Arkansas in the summer is two things – hot and humid. Fortunately, we have air conditioning units that can keep us cool and comfortable no matter how bad things are outside. Today’s air conditioning is an incredible boon, especially considering that just 50 years ago we were stuck with window units that barely cooled a single room. Having central air conditioning in an Arkansas summer is incredible, but only if you maximize your energy savings and efficiency. If you want to see significant energy savings, you need to make sure the are around your air conditioner unit outside is clear of debris and buildup. It’s common during the poor weather of winter for leaves, sticks, dirt, and other debris to get stuck in the screens and makes it hard for the unit to work efficiently. By taking a bit of time to remove these problems, you can optimize your air conditioner all summer. No amount of self-cleaning takes the place of a professional cleaning and tune up. It’s best to schedule this before the heat really hits, so take the time to call your technician now. 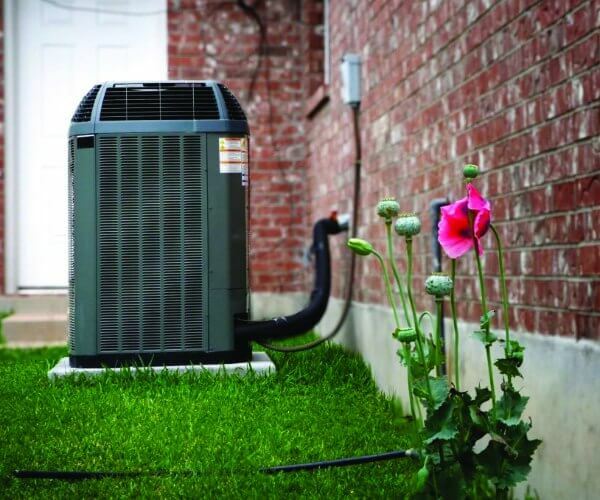 The professional can let you know how your unit’s overall performance looks, and the annual care will help extend the life of your air conditioner. You’ll save energy with a well-operating air conditioner, and you’ll also make sure that there is no damage or wear that is keeping your home cooling from operating at its peak. The best way to make sure you aren’t “cooling the neighborhood” is to ensure that air isn’t escaping your home through walls, windows, your attic, or other common leaky locations. An insulation audit can help you understand what’s currently installed in your home and what you can do to improve your energy savings. Whether you add additional fiberglass insulation or opt for spray foam, you can dramatically improve the comfort and efficiency of your home without breaking the bank on utility costs. Think about your daily tasks and try to avoid doing things that generate heat during hot parts of the day. For instance, you may want to run your dryer overnight (or perhaps hang dry your clothes!) If you can avoid cooking in the oven during the hottest hours, you’ll also see some energy savings. You can also reduce strain on your air conditioner by closing your blinds or curtains during the afternoon. Keeping the sun out will keep things cooler without your air conditioner having to do the work. A lot of people think about home insulation as a way to stay warm, but it’s equally helpful when it comes to staying cool. After all, the idea is to keep the undesirable outside temperatures out while you enjoy comfort in your home. Having the right insulation can make a huge difference in your energy savings and in the amount of strain on your air conditioner this summer. It’s time to act before the summer is here. Contact us for an appointment today!